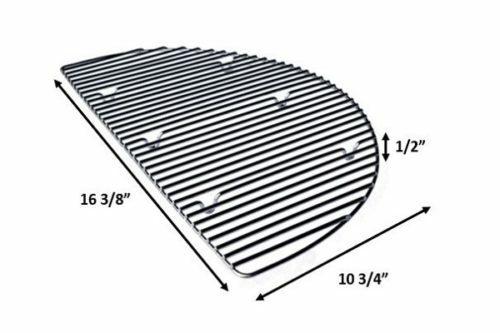 A contoured drip pan for the charcoal grate of your 22″/26″ kettle or Weber Summit Charcoal Grill that does double-duty as a roasting pan. 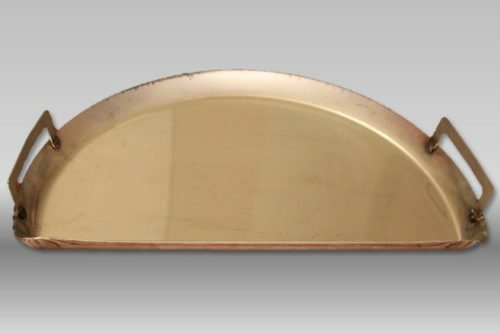 Raised edges (1 1/2″ high) makes sure what’s in the pan stays in the pan. And easy-access, outside-welded side handles allow for ease of moving it to/from and around the grill. 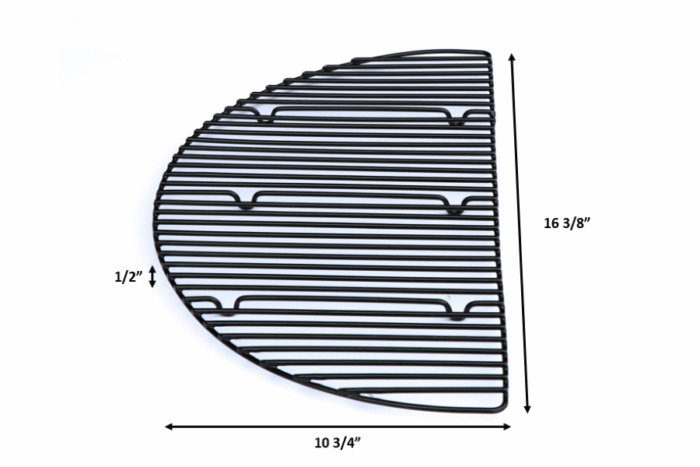 Drip pan – sits on the charcoal grate to catch drippings from your biggest cooks (no more messy foil!). 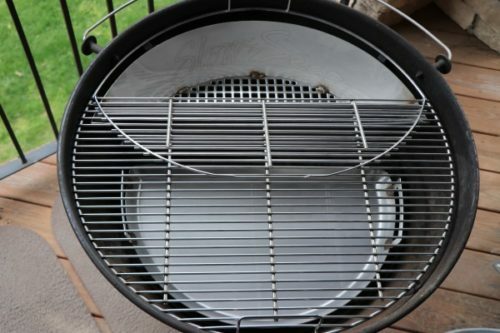 Also aids in the direction of airflow to the Slow ‘N Sear that helps stabilize pit temperatures. 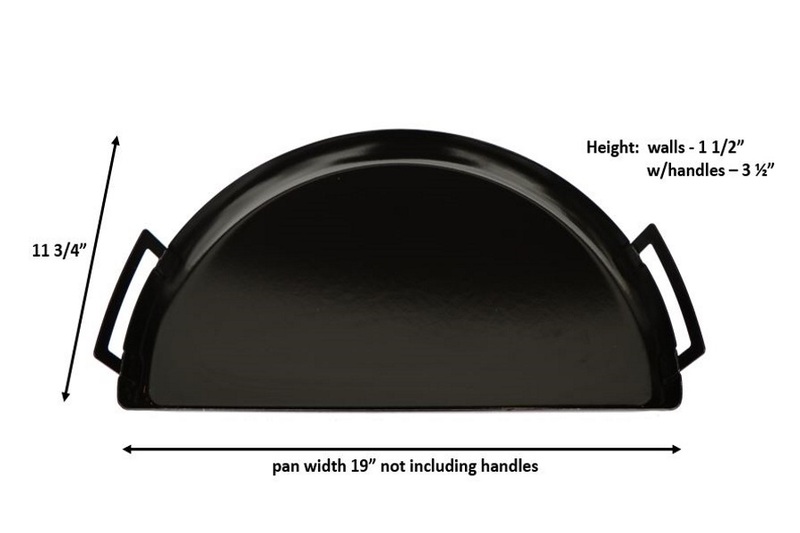 Roast pan – use on the indirect side for roasting – the darker surface delivers a perfect brown exterior. 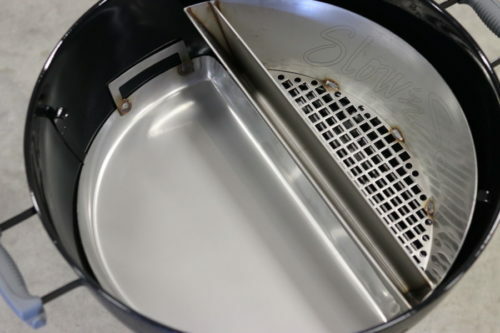 Great for roasting veggies! 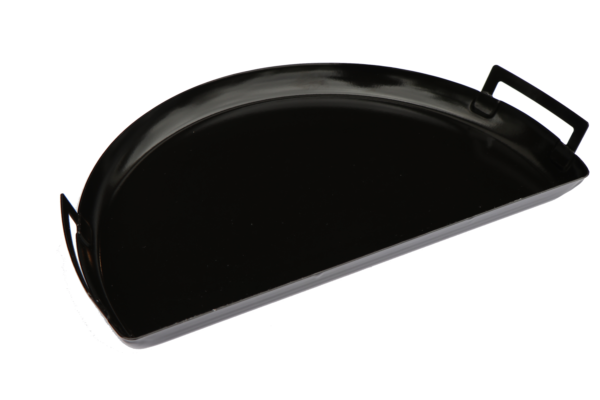 Made from carbon steel with a durable, food-safe black porcelain coating. 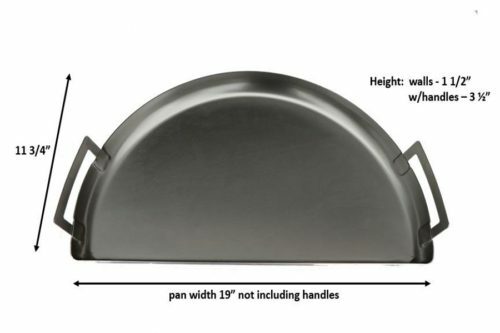 This pan should not be used over direct heat as a griddle. 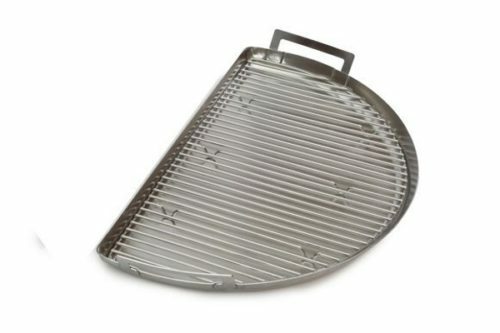 Please choose our stainless steel Drip ‘N Griddle Pan Deluxe should you need to cook over direct heat. 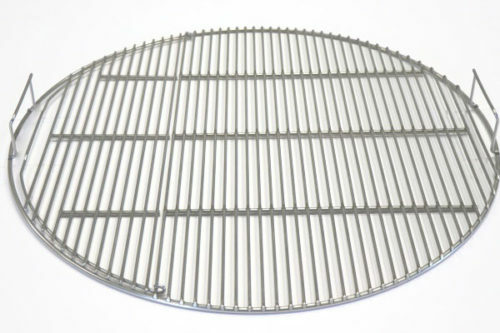 What’s the difference between stainless steel and porcelain-coated steel? 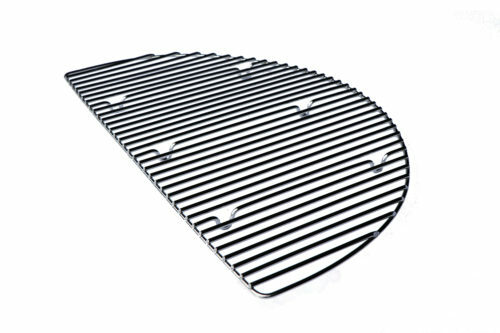 Comes standard with a matching black porcelain-coated roasting rack. Use the Roasting Rack together with the Pan for a complete roasting solution. 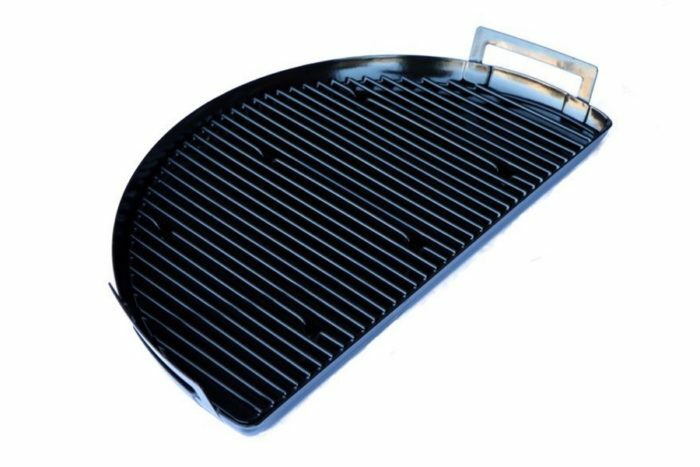 Or take advantage of the specially designed feet that allow the pan to sit directly on the charcoal grate making it a simple, easy way to transfer small items on/off the grill. 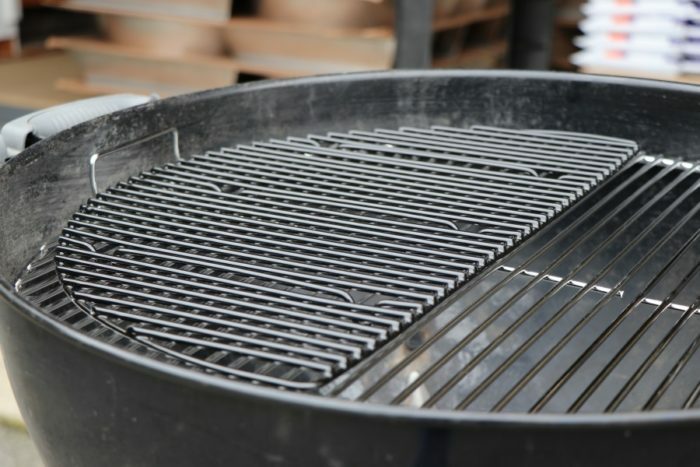 Stainless steel vs porcelain-coated steel - what's the difference? Durability. Porcelain-coat: a less expensive steel covered with a heat-safe, food-safe porcelain finish. Durable, but may scratch or chip after a few years of use.